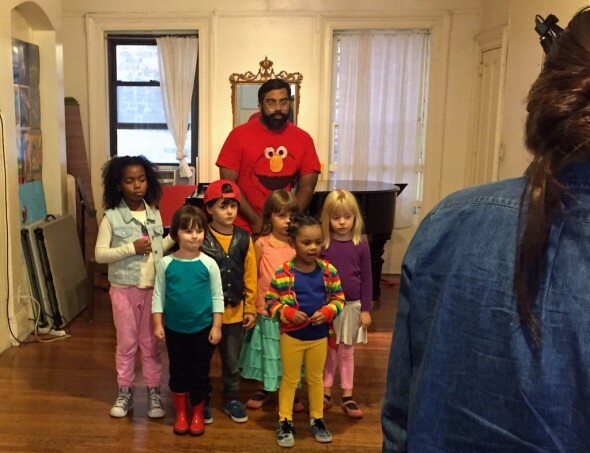 H Is Going to be on Sesame Street! We’ve been a little busy. 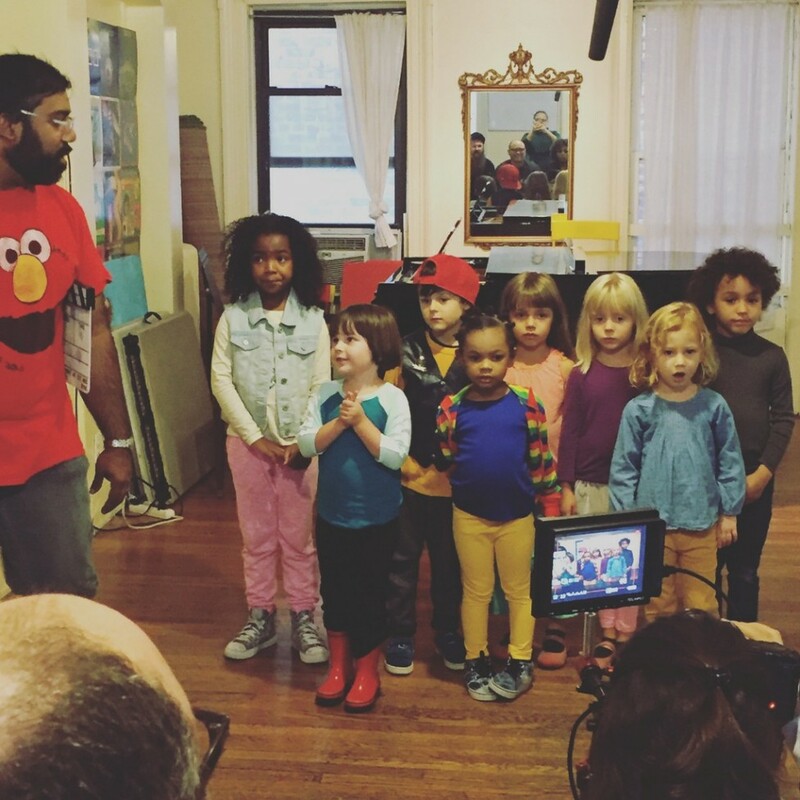 Last Sunday H and I went to Brooklyn to film a segment of Sesame Street! It won’t air for about a year; season 46 is on now, and she filmed for season 47. Kathy passed on a message from a work acquaintance that a casting director for the show was looking for kids H’s age to film some segments. They wanted kids of all ethnicities and all abilities, so I followed the quick application process, and a couple of weeks later we got an email from the casting lady to see if we were free that weekend. You bet we were free. There she is in the red boots. She loved it, and asked when we could go back to Sesame Street again. My pictures aren’t that exciting, because she was basically standing like this or sitting in a circle with adult feet in the shots. It was quick. Maybe 90 minutes there, they got the kids wrangled, and filmed them singing a few songs and doing a few other things. And that was it. She didn’t meet any characters, and it’s just for a small segment on a future episode, but still. Someday she’ll be able to show people that she was on Sesame Street! And that’s pretty rad for that little peanut we just can’t get enough of. So. Cool. Don’t knock your photographs! That first pic, with you caught in the mirror taking the pic of the kids from behind the production crew, that’s a great composition. I didn’t even realize I was in the photo until I got home and looked at them! Thank you!